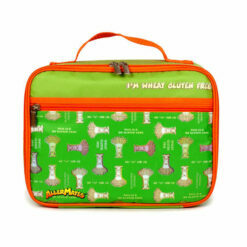 This celiac lunch bag is perfect for kids who are gluten free and wheat free. 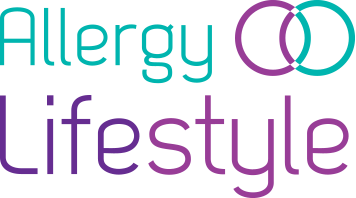 Making others aware of your child’s allergies at snack & lunch breaks is essential. 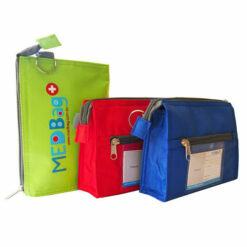 These lunch bags hit the mark in a fun way that won’t make your child feel different. Kids love the cool characters and parents will have peace of mind with knowing that their kids are safe by having this bag on them. 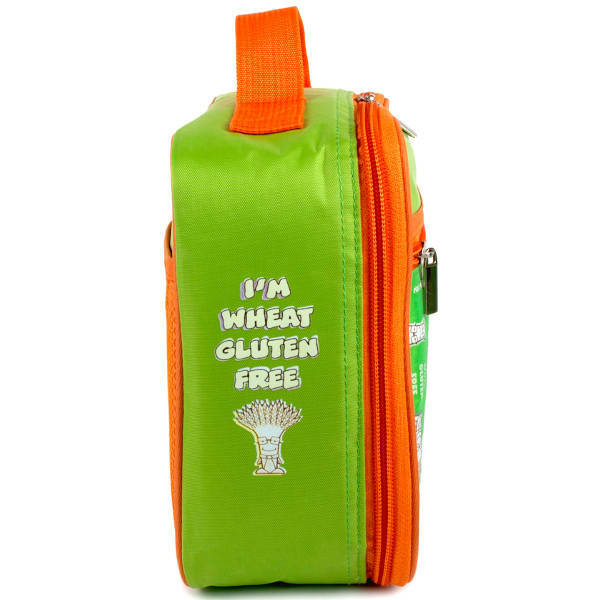 This insulated Gluten Free Wheat Free lunch bag is perfect for kids with Wheat and Gluten allergies. Making sure other people are aware of your child’s allergies at snack & lunch breaks is vitally important. 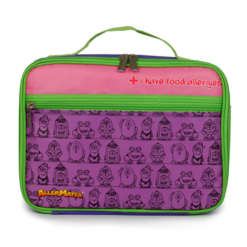 These lunch bags hit the mark in a fun way that won’t make your child feel different. Kids love the cool characters & parents will be at ease knowing that their kid will be well looked after while carrying this lunch bag. 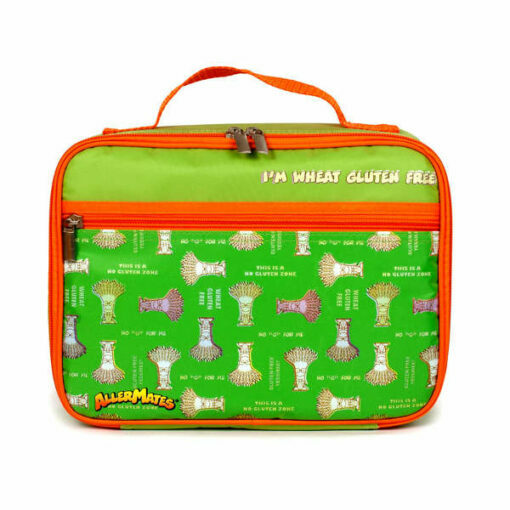 This lunch bag features the AllerMates Wheat/Gluten Free character: Professor Wheatly! 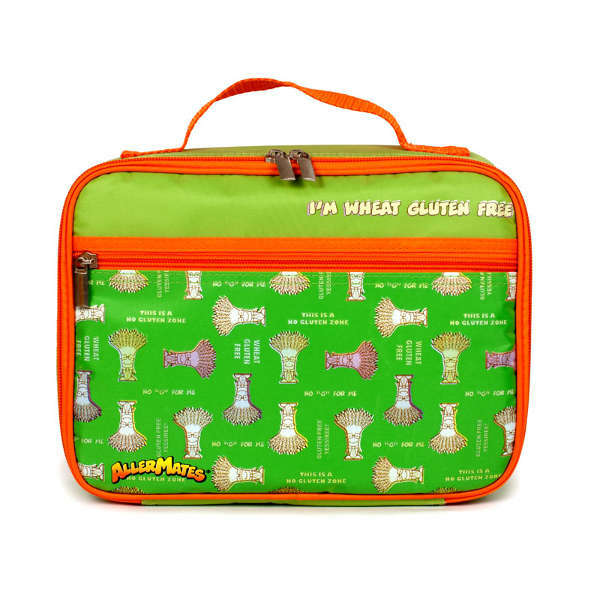 The AllerMates Wheat/Gluten Free lunch bag features fun phrases on it such as: “This is a no gluten zone”, “No ‘G’ for me”, “Wheat Gluten free yessiree!” and more!